The band well known for their folk rock sound has branched out of that genre to experiment with something entirely new: African music. 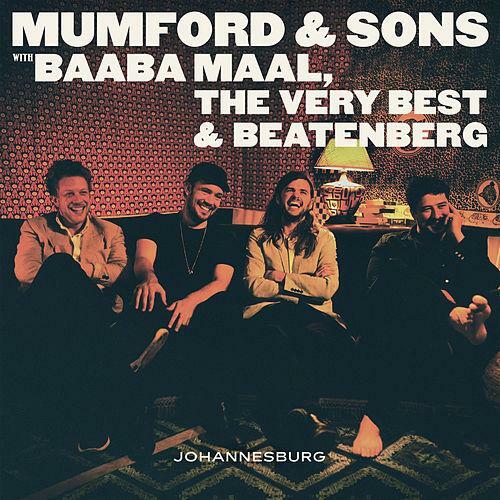 Mumford & Sons recently released a five-track EP called Johannesburg on June 17, 2016, which includes collaborations with Senegalese singer / guitarist Baaba Maal, London-based group The Very Best (featuring vocalist Esau Mwamwaya from Malawi), and South African pop group Beatenberg. Johannesburg was recorded over the course of two "all-day-and-all-night" studio sessions during the band's tour across South Africa at the beginning of 2016. For an EP that was put together in such a short timespan, the final product seems polished but not flawless. There are a couple moments when the drums are out of sync on "Wona" but aside from that, this is a very cohesive record. The sound of this EP is quite a bit different from Mumford & Sons' older music and probably would not have been recognizable if it weren't for Marcus's salient vocals. More of an emphasis of drums and percussion can be heard in Johannesburg rather than guitar, which draws from the African sound. "There Will Be Time" and "Ngamilia" both stick to the Mumford and Sons style of starting a song out slow before executing a massive build up with drums and vocals, while "Wona" and "Fool You've Landed" deliver softer, free-spirited tunes. Baaba Maal and The Very Best close the EP out strong with "Si Tu Veux," allowing listeners to feel the passion through the track's powerful performance and arrangement. Johannesburg is out now and available to purchase on Amazon. You can also stream the full thing above, via Spotify. For Mumford & Sons' latest music, news, and tour dates, check out their Zumic artist page.